A few years back I saw an idea in a magazine that I liked. I can’t remember what magazine it was, but I remembered the basics. You make a tree out of boring old brown paper, and put it up on your wall. 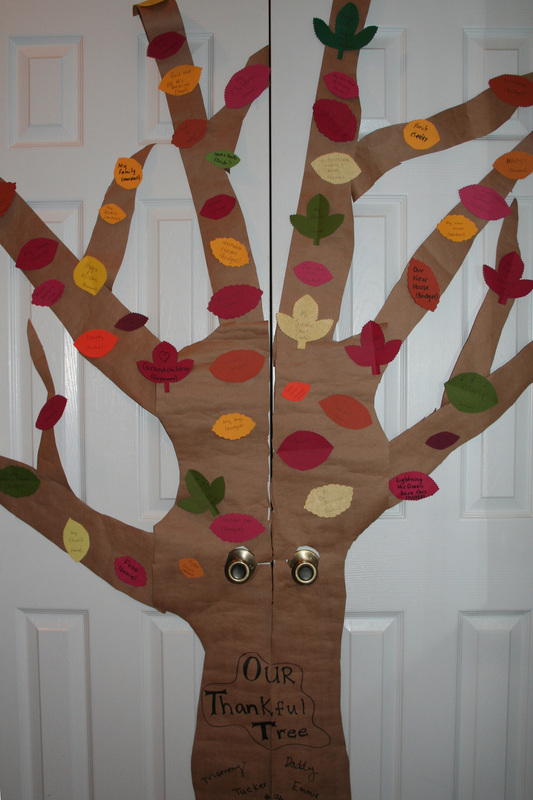 Then you cut out leaves to affix to the tree, and on each leaf you write something for which you are thankful. At the end of the day, it’s fun to go back and see what everyone else wrote. I didn’t do this earlier because the kids weren’t old enough to really get into it, but I thought they would be this year. Well, my paper-tree-making skills aren’t as super-awesome as the paid artist at the magazine, and I didn’t really want to put tape up on my new walls. So, I did the best I could to make a tree and put it on the pantry doors(you see it right as you come in the back door). 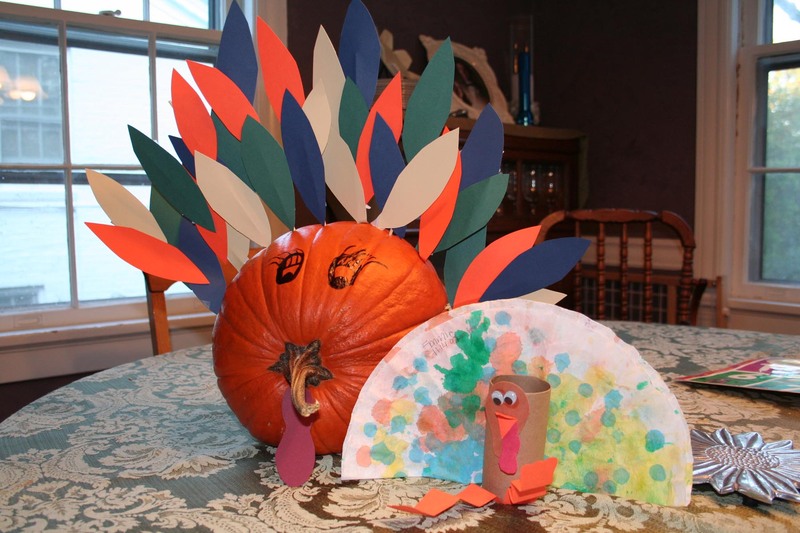 It’s already beginning to fall with the added weight of all the leaves, but the kids had fun coming up with things they loved or are thankful for…and they really loved taping stuff on the “wall”. Here’s a view of our “Thankful Tree”. On the base, there are all the names of our family members(immediate and extended, including #3A) and our pets. They are, after all, the main thing we are thankful for this time of year.